Appropriate manipulation of programming variables for the individual lifter based on their training advancement, age, etc. None of these factors can be simply intuited. We can’t make pressing easy, but we can help you to do it correctly. For each of the major lifts, there exists a conceptual model based on human anatomy and mechanics that dictates how it should optimally be performed. Simply going by how the lift “feels” or whether it is subjectively aesthetically pleasing inevitably results in sub-optimal lifts, and therefore sub-optimal training. The conceptual models for how the major lifts should be performed is elaborated and justified in great detail in Starting Strength: Basic Barbell Training, 3rd edition. Suffice it to say that these conceptual models require an extended period of dedicated study to properly assimilate. With rare exception, only those individuals who study them with the intent of coaching others in barbell training end up internalizing all the details of these models. Even if you count yourself among those few who do study the models with this level of rigor, there exists a fundamental problem for everyone — coaches included — that you cannot observe your own lifts in real time. Even lifters with high levels of proprioceptive awareness make mistakes of which they are unaware. Real time feedback by a qualified third party makes each work set better, and facilitates the lifter’s achievement of more polished technique in far less time than would otherwise be required. Effective coaching also focuses the lifter’s attention on problems of which they may have been unaware, increasing their proprioceptive awareness. 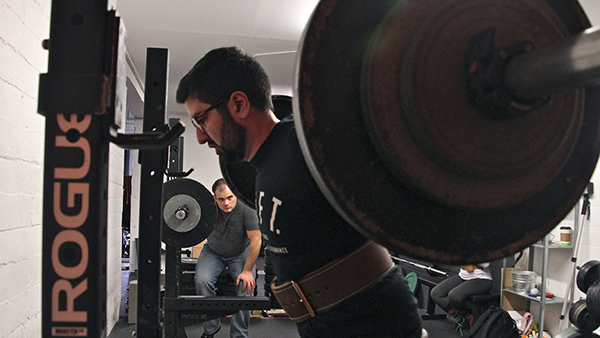 An effective coach doesn’t just improve their trainee’s performance of the lifts. They also make good programming choices for their lifter, so that their lifter minimizes or avoids entirely periods of stagnation in training, and they help keep their lifter accountable for sticking to the program and taking their recovery between workouts seriously. As with the conceptual models of the lifts, proper understanding and application of principles of programming requires dedicated study and thousands of hours of coaching experience. An important component of a coach’s guidance on programming is not just selection of a correct program, but also avoidance of any number of lifts and programming schemes that will at best waste time, and at worst slow progress. An effective coach also provides guidance to the lifter on what they need to do (and not do) in order to recover properly between training sessions. This includes general advice on how much and what types of food to eat, and what non-lifting activities will and won’t interfere with recovery. In both programming and recovery, a good coach also holds their lifter accountable. All else being equal, lifters will be more diligent about all aspects of their training — lifting, following the program, and recovering properly between workouts — when a coach holds them accountable. So, how much coaching do you need? As a general rule, the more coaching you receive, the better you will progress in your training. Here are some questions you can ask yourself. Are you just starting out? If so, you should absolutely seek out a coach to go through all the lifts at least once. This will help you start your training on a strong foundation. It is easier to learn the lift correctly the first time then it is to replace bad technique with good. If you are just getting started, absolutely go see a coach. Have you been training, but have yet to see a coach? If this describes you, then just like someone who is brand new, schedule some time so that you can get your lifts cleaned up. 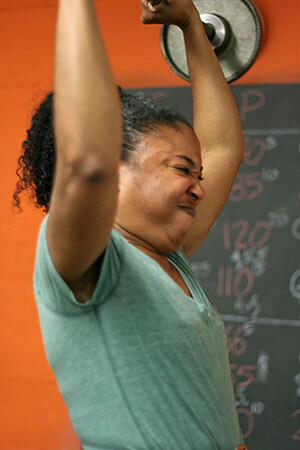 It is virtually never the case that we see someone for the first time and do not immediately identify technique corrections they can make on their lifts. Are you a “natural athlete”? If you’re not sure of the answer to this question, then the answer is “no.” Natural athletes are generally gifted individuals who pick up sports and physical skills quickly. Natural athletes need coaching too — but perhaps not as frequently as the rest of us. The less you think the term “natural athlete” describes you, the more frequently you should be checking in with a coach. How much do you need to be held accountable? We all have multiple priorities in our lives. Some of us are more in need than others of being held accountable to come in and train in order to make sustained progress. If this is the case for you, weekly or more frequent training sessions with your coach will help keep you on track. At Bay Strength, we offer three days a week small group strength classes for those who wish to maximize the amount of coaching they receive. Many Starting Strength Coaches elsewhere offer similar services. If you haven’t already reached out, what are you waiting for?